The Indigenous Governance and Partnership Program offers undergraduate, graduate, executive, and community-based programming, including a Certificate in Aboriginal Governance and Partnership, which has already graduated more than 50 people, and partnered with over 30 Indigenous communities and organizations. 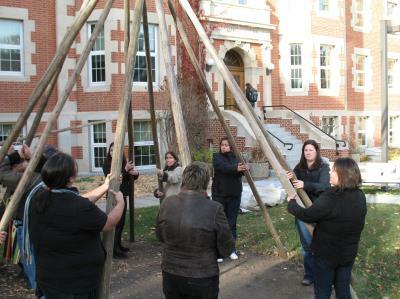 With over 8 years of programming, the Certificate in Aboriginal Governance and Partnership has partnered with over 30 organizations to successfully engage and graduated over 50 students who are continuing to apply their knowledge in Indigenous governance and relationship building through positions of leadership for their communities (e.g. chiefs, executives, administrators), governments (Alberta, NWT), and in Indigenous and non-Indigenous organizations. Over the last few years, we have had many people interested in the AGP Certificate programming who are working full-time. 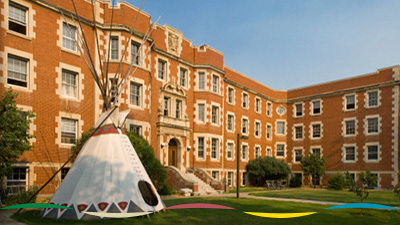 Additionally, in light of the Truth and Reconciliation Commission’s call to implement the United Nations Declaration on the Rights of Indigenous Peoples, many working professionals are reaching out to our programming to engage in this timely and relevant learning opportunity to increase knowledge toward building better relationships between government, industry, and Indigenous communities. To address this need, we are transitioning six courses for the Stand Alone AGP Certificate to blended delivery in order to increase access to programming. In addition to increasing connections through online and blended delivery, we are continuing to strengthen relationships guided by our original mandate of (1) engaging undergraduate degree students through our embedded certificate program, (2) providing alternative learning opportunities through the standalone certificate, (3) offering graduate level programming specific to governance, social order, and relations with the Canadian state, (4) partnering with the Alberta School of Business through the Indigenous Partnership Development Program (IPDP), and (5) engaging in community informed research.